Hudson Valley Care (HVC) planned this RCM project to address the billing issues that HVC’s monthly financial indicators reports identified. Even though billing was the primary reason for this project, it also has addressed some of the important quality outcome measures. 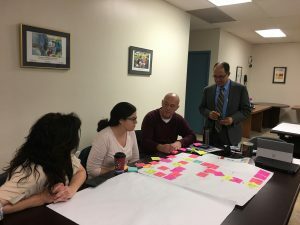 HVC worked with Kristin Woodlock, a consultant with extensive experience in revenue cycle management and NYS Medicaid Redesign initiative, and started with an initial brainstorming session on how to address issues identified by the financial indicators report. The result was three phase project that includes process mapping current workflow, individual CMAs consultations, and one-day workshop on topics identified by the CMAs during phases I and II. Kristin Woodlock first met with HVC to plan the phases of the project. During this planning session, we identified HVC’s top performer and solidified a plan to work with them to map their current workflows. We then discussed to divide the RCM Project into three phases: Phase I would be a group session where each CMA mapped thirteen major Health Home workflows; Phase II would then be a personalized consultation with each CMA; and Phase III was not decided upon during this initial planning session, but we wanted to bring everyone together. Next, HVC and Ms. Woodlock met with BTQ, HVC’s financial/billing vendor, to conduct a process mapping session. During this session, the team mapped out a complete process of documentation, billing, and claims processing. Finally, HVC and Ms. Woodlock met with HVC’s top performer WCAP, to map their current workflows for various aspects of care management. An entire day was spent with WCAP thoroughly reviewing their processes step by step. The information was then transferred to a power point presentation to digitize their work. 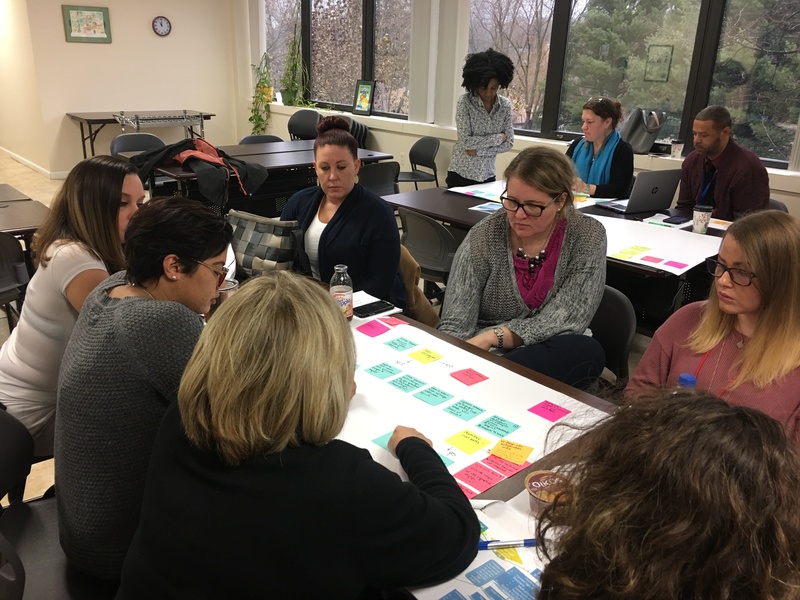 HVC held a series of five group sessions, two in the upper and three in the lower Hudson Valley, where Ms. Woodlock presented WCAP’s process maps as a best practice. At the end of the session, the CMAs were required to complete an action plan, detailing their follow up items from the session, and their plans for beginning implementation of future state workflows. They were also required to digitize their workflows and present to HVC by December 31, 2017. During January and February, HVC and Ms. Woodlock met with the CMAs individually. Each of their current state workflows were reviewed, and HVC and Ms. Woodlock offered tips and advice on gaps in workflows, as well as areas of improvement. The CMAs were given the opportunity to also ask for advice on areas where they were struggling, and how to adapt their workflows in order to increase billing performance and improve quality of care. At the end of each consultation, the CMAs were given follow up action items, which included completing updated process maps to include future state processes. During the individual CMA consultations, many CMAs identified wanting to learn from WCAP on how they developed and maintain their activities log, which is used for oversight tracking and monitoring. Therefore, HVC and Ms. Woodlock proposed having a follow-up workshop, which would offer technical assistance (TA) in creating, populating, and maintaining a log for their CMA. Representatives from WCAP, MHA Dutchess, BTQ, and GSI would participate in leading various parts of the one-day workshop. The CMAs will be provided a template, and during the session, they will be asked to modify the template to meet their specific data collection requirements. Also, they will get time to practice populating the log and maintaining the data. In March, HVC will follow up with each CMA on the progress of implementing their workflows, with the entire Health Home (HH) Care Management team, and the impact on their billing and documentation. In April, HVC will perform a trend analysis of the financial indicator reports to review, if there have been improvements with the billing and documentation for the CMAs. The CMAs that have little to no improvement will be contacted to discuss barriers. In addition, as HVC continues to conduct trend analyses, HVC will reach out to the CMAs that have developed promising or best practices. HVC will compile this information and share with HVC’s network. In May, HVC will begin monthly operations office hours, where HVC will discuss the monthly financial indicator reports, provide TA on pulling the various reports, and discuss any data issues/discrepancies the CMAs find with the reports. By holding operations office hours, HVC’s hope is to improve not only on the set monthly financial indicators, but also improve HVC’s overall published reports. HVC has received overall positive feedback from our CMAs. Many have felt this dynamic training has helped them to take a closer look at their agency processes, examining their workflows for gaps, and bringing their entire team together to discuss steps to take for improvement. We appreciate the meeting and valuable information. We will have a meeting with the Program Managers to address the workflow. We could benefit from a one-to-one with Kristin. We will submit the required processes by the due dates. From On behalf of MHA, we would like to thank you for the very important opportunity to connect as an agency and review our current work flow process. The time we took today will truly enhance our internal procedures and task assignments in the future. We look forward to the follow up meeting and discussing next steps. More importantly, we look forward to reaching the performance goal of 95% or higher. On behalf of our team, we want to thank you for this opportunity HVC has given us to work with a consultant so that we can look at our work flow and improve in the areas that need attention. This has been a year of whirlwind of changes and for many that has come with some overwhelming feelings. It makes sense that to implement and have all of these changes flow smoothly in our teams, we must also make adjustments to our workflow. We appreciate the manner in which HVC has worked with us; with integrity and respect. We can clearly see your heart through your support and actions. We appreciate you, Stephanie and Sean very much. We are excited and look forward to developing a smoother workflow for our team and the great results that will come out of these positive changes. MHA is believing to achiever over the goal of 95% in billing! This is a colossal goal for us and I believe we can do it because what we believe, we can achieve! I spoke to Lisa this morning about the wonderful training that HVCC held in Goshen yesterday. First of all, I cannot thank you enough for putting this together. It was such an unconventional training which I mean in the most positive and appreciative way. I am not accustomed to HH trainings that are so interactive and actually encourage innovative feedback from care management agencies as a means to really improve billing/services. The process mapping was a brilliant idea and I am pleased that an action plan was requested by each CMA as well. I am looking forward to next step and love the collaborative effort. In all sincerity, I wish that all the Health Homes took the time to really put together useful and constructive trainings such as this one. I am thoroughly impressed and thank you, Sean, Stephanie and the rest of your team involved in this new approach. I wanted to take a minute to thank you, and HVC, for the opportunity we had today. I have a lot of work ahead of me in the next two weeks but I really think it will be worth it and the chance for improvement in many areas is great. After I left today I actually decided to go through this very same process for all my kid’s programs by the summer of 2018.